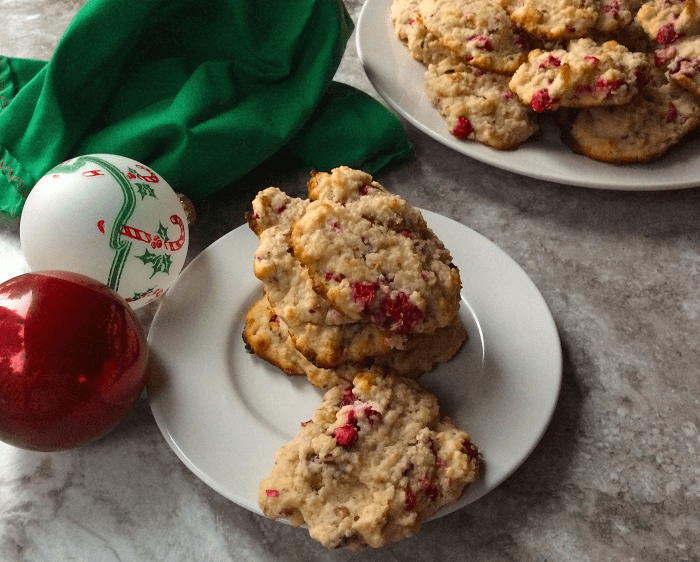 These keto cranberry walnut cookies are similar to the cranberry bread I used to make every year for the holidays, but so much better because they are keto. I love being able to recreate recipes that I used to make and make it in a healthier way so that we can still have them. Cookies are great any time, but around the holidays they are a way of sharing with friends and family. Making cookies with my kids are some of my favorite memories and just because we are now keto does not mean that we can’t continue that tradition… just with different ingredients. I hope that this will be one of your new favorites on your holiday cookie platter. A lot of cranberry recipes call for dried cranberries, however, I would rather use fresh cranberries. I freeze them and then pulse them in the food processor to make them into chunks. They do better in the food processor frozen than if they were thawed. I just take fresh and put them in the freezer. When I want cranberries I have them all set to go. 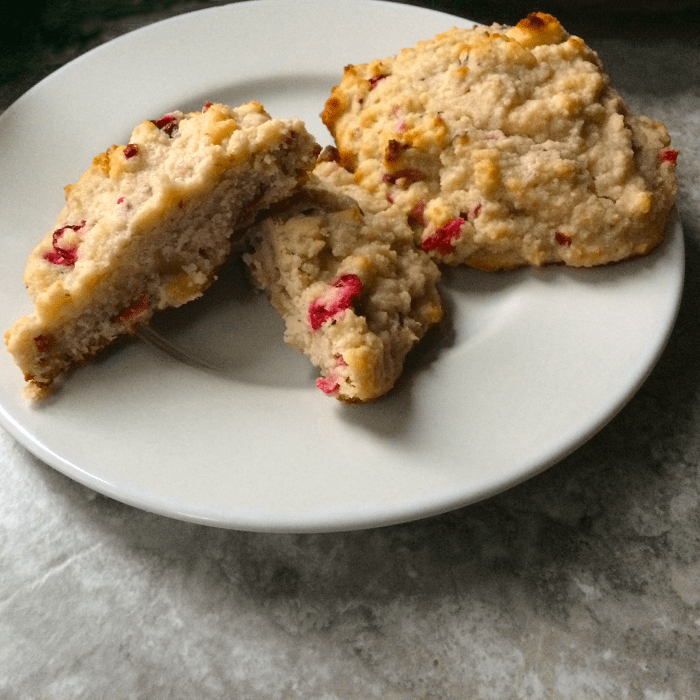 Nutrition for the recipe is on My Fitness Pal just search Certainlyketo-Keto Cranberry Walnut Cookies. These cookies are a recreation of the cranberry bread I used to make at the holidays and they are just as good. They are keto and delicious. Mix in eggs, sour cream, and emulsion into butter mixture. In a separate bowl, combine almond flour, coconut flour, baking powder, and salt. Blend together. Fold in cranberries and walnuts until evenly incorporated. Bake for 12-14 minutes or until the cookie starts to brown slightly on top.